Today—today we witnessed actual epic. Today we witnessed the solidification of a champion amidst incredible conditions and worthy competitors. While doping existed in my thoughts (unfortunately, as it always does), it was fleeting, quickly cast aside to relish in the purity of the long moment. In this new age of less/no doping, we’re treated to a repetition of marginal gains. Precisely measured efforts have replaced the snap and bravado of a stinging attack. 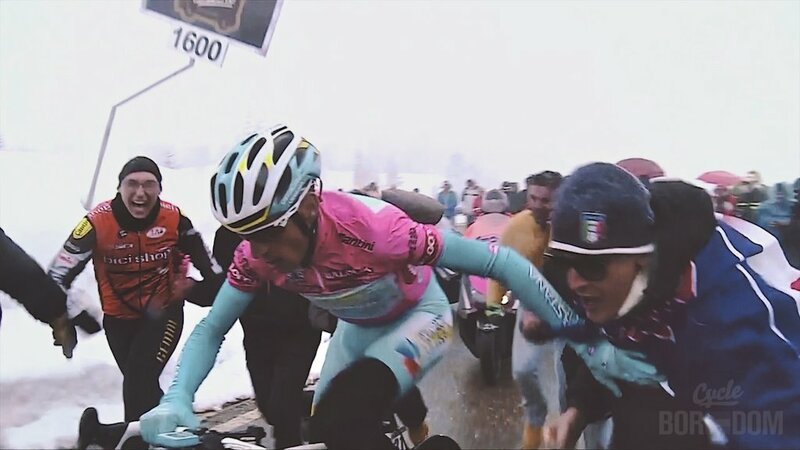 Approaching the finale of today’s stage, I had no doubt a grimpeur far down on GC would salute the snow-covered crowd in triumph while Gruppo Maglia Rosa rode Gruppo Compacto. And for what seemed an eternity, this is exactly what transpired. Then Vincenzo, like so many Grand Tour champions before him, rose from the saddle to stamp his authority on what was already his. Watts per kilogram wasn’t the preferred measurement as the distance to his rivals grew, it was panache per square inch. The tifosi’s already intoxicated mindset was whipped into a frenzy along the switchbacks of Tre Cime di Lavaredo as Nibali emitted raw, unrefined panache in a pheremone-esque fashion. 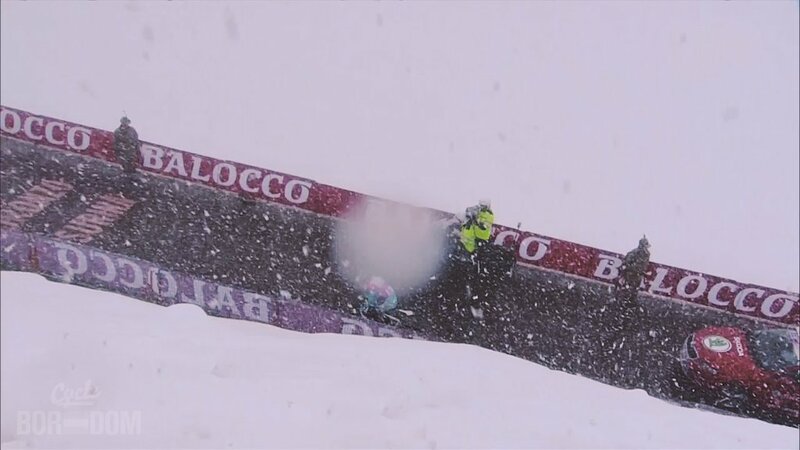 Barely visible in the near-blizzard conditions, Vincenzo Nibali crossed the line as Stage 20’s victor and likely Giro 2013 champion—and I had chills for the first time in a long time.